Our Mission:We work in a creative partnership with individuals, teams and organisations, developing their leadership capability, facilitating change and energising people to achieve optimal performance. Our Values:Our core values are lived to ensure the success of our business and partners in a mutually sustainable and fulfilling way. CLIENT FOCUSED – We care about our client’s success. We first seek to understand our client’s needs and create a unique client experience, adding value at every turn. 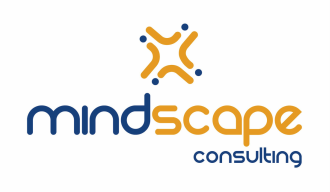 EXCELLENCE – we are excited about ongoing professional development and research for Mindscape to deliver leading edge solutions; whatever we do we seek to do with excellence and precision. COLLABORATION – we work in creative and supportive partnership with our clients to create impactful solutions. TRUST – we build open, honest, long-term relationships and operate in a transparent and ethical manner. SYSTEMIC – our approach is respectful of the interconnectedness of the individual, team, organisation, business, environment, community and the world. Some of our Clients: Australian Human Resources Institute (AHRI), Australian Institute of Management (AIM), HESTA, Australian Bureau of Statistics, ANZ Bank, Dairy Australia, SP AusNet, Westpac Bank, Hastings Fund Management, GE Fleet Services, AIG, GNC Livewell.